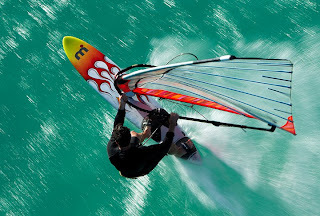 Well I like to know the latest developments in windsurfing, especially speedsurfing. In 2010 the idea of the reflex battens of Severne was definitely something I thought that stood out. This year it was the year of "the widebase", loads of brands added such a design which must be a good sign, a good development which was started by C3 (boogie and Martin van Meurs/ correct me if I am wrong). For 2012 I didn't see something exciting in fins or sails, at least not the most exciting. BUT we have 2 strong contenders in designing boards. And both have total different reasons why they are soo promising!! With Chris Lockwood + Anders Bringdal responsible for the products I already get excited. 2012 new slalom and speed boards, yeah. Chris doing 40kn on 68cm model in onshore conditions! Anders did fastest GPS session ever!! The 91 liter slalomboard isn't too bad either. Pretty much really good proof of something special. Lets hope retail prices are OK, and the speed recipe for success done. I hope to see some detailed pictures from speedsurfingblog author Alastair his mistral boards soon! A brave mission when you put all the facts in a row. I enjoy to follow Martin van Meurs & Ron vd Berg their journey to new products. 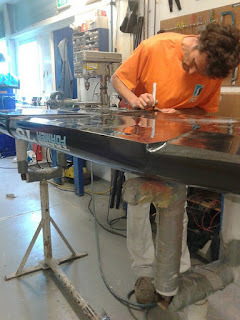 According to the windsurfing.NL page the mXr monster boards will also be produced by Simmer. So here is another contender which should be available for 2012 retail!! And honestly I can't choose my favorite having owned Carbon Art (Chris Lockwood designs) and also being dutch and sailing on regular basis with the guys behind mXr windsurfing. Erik, for 2012 also new mXr fins, Serge had a top speed on Horst of 83 km/u and won the day !! And of course select with the new cross fire. What about the new GPS in development?..........maybe thats even more promising.